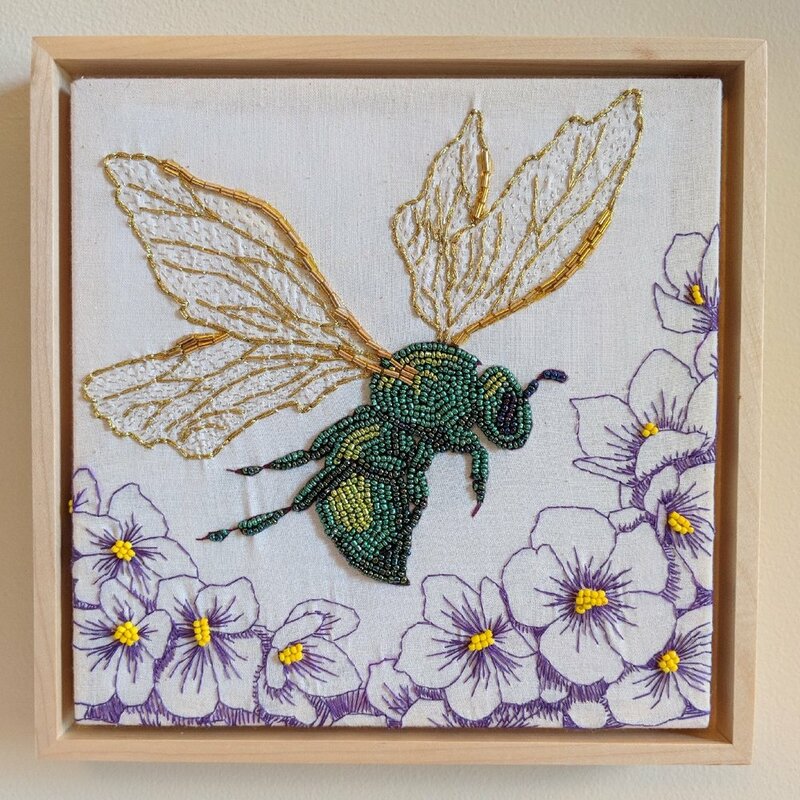 Jesi Evans Murphy is a fiber artist who uses, “… what is traditionally viewed as craft media to create conceptual fine art.” Her work is a compelling match up of contemporary artistic sensibility with craft tradition. When Murphy speaks of working on creative projects with previous generations of women in her family, she touches upon the fact that American textile art has lived mostly as a matriarchal, generational, connection surreptitiously building a feminist thread into the culture. Murphy will be showing her body of work APIS this December at Delinquent Gallery in Bloomington, Indiana.